Cookies are small text files that are stored on your device when you visit a website. They help us enhance your user experience on our site and help us learn what information interests you. This cookie is used to let us know that you have opened up a data capture form on our website. E.g. Contact Form, Brochure Request. No customer data is stored in this cookie. It is stored for one day. La Tavernetta Del Battistero Srl, Viale Mazzini 13 50132 Firenze. P.Iva 06372670486 CCIAA di Firenze is the Data Controller for processing of the personal data you provide to us, pursuant to UE Regulation n. 679 2016 (Privacy Act). Data processing means collecting, recording, organizing, storing, elaborating, modifying, selecting, extracting, comparing, using, linking, blocking, communicating, diffusing, deleting and destroying data records or any combination of two or more of such operations. Tavernetta Del Battistero Srl, Viale Mazzini 13 50132 Firenze. P.Iva 06372670486 will process data for the purpose of implementing the service, or one or more operations, you have requested. Electronic instruments will be used to record, manage and transmit data in accordance with UE Regulation n. 679 2016 (Privacy Act) to guarantee your rights, fundamental freedoms and dignity with particular reference to confidentiality and personal identity. The personal data you provide may become known to the employees who handle data processing; data may also be communicated to external collaborators and, in general, to all parties who need access to such data in order to fullfill the requirements of the service you have requested. We are committed to not diffusing any information about single users for commercial purposes. The data to which this notice refers is conferred strictly for the purpose of providing the service you have requested, so failure to grant consent will make it impossible to provide the service concerned. To provide a complete service, our web site includes links to other sites some of which may be managed directly by us, by associated organizations and companies, or by others not associated with us. We are not responsible for the contents or respect of privacy provisions in relation to sites of reference that we do not manage. It is possible to identify the IP address of users who access our site. Personal data may be transferred to countries inside and outside of the European Union in relation to execution of the service you have requested. You are entitled to exercise the rights as set out in UE Regulation n. 679 2016 (Privacy Act), the text of which follows below. You may request more information about processing and communication of your personal data by writing to Tavernetta Del Battistero Srl, Viale Mazzini 13 50132 Firenze. 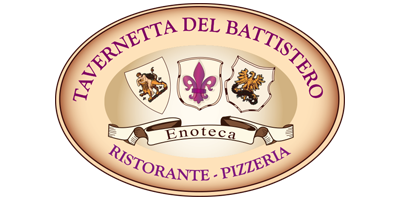 P.Iva 06372670486 or emailing to info@tavernettadelbattistero.it. I The party is entitled to obtain confirmation of the existence or not of personal data concerning it, even if not yet recorded, and communication of such data in comprehensible format. e) parties or categories of parties to which personal data may be communicated or who may become acquainted with personal data as designated representatives in national territory, processing executives or employees. c) attestation that the operations described in points a) and b) were made known, in relation to their content, to the parties to which data was communicated or diffused, except when fulfilling this requirement would involve the use of manifestly disproportionate means with respect to the rights protected by the operation itself. b) processing of its personal data for the purposes of advertising, direct sales, market surveys or commercial communications. Contact us at info@tavernettadelbattistero.it for more information.